The Juan de Fuca Marine Trail was a challenging coastal experience. Mostly in second-growth forest, the route bumped up-and-down endless gullies. Arnica Lake is an easily accessible subalpine area in Strathcona Park. The Philips Ridge Trail rises gently up a series of well-engineered switchbacks. The Cavell Meadows Trail is a spectacular hike in Jasper National Park. Enjoy dynamic views of Mount Edith Cavell and the hanging Angel Glacier. The Opal Hills Loop is an adventurous day hike in Jasper National Park. Meander through bear country and enjoy a lovely view of Maligne Lake. The Glacier Crest Trail is a stunning day hike in Glacier National Park. Climb through emerald forests to epic views of ice fields. The Emerald Triangle is a gorgeous hike in Yoho National Park. The route goes right by the famous Burgess Shale fossil beds. The Iceline Trail is a classic Canadian Rockies day hike in Yoho National Park. Highlights include Takakkaw Falls and remnants of the last ice age. 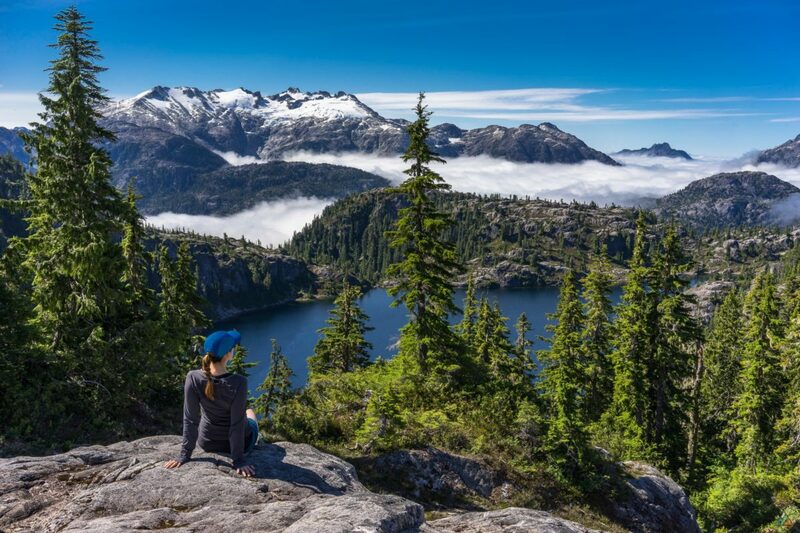 The Tennent Lake Circuit is a challenging off-trail hike through some of Strathcona Park’s finest granite topography. Route-finding skills are essential. Follow our adventures on facebook, twitter, and instagram.